The Town of Bradford had a water system with major challenges: 60% water loss at an annual cost of $10,000, lack of sufficient fire flows and storage volume, flood prone and severely deteriorated well pumping stations and few records of underground locations. OCE was retained to solve these deficiencies and work with the many Boards, agencies and community groups necessary for a successful project. 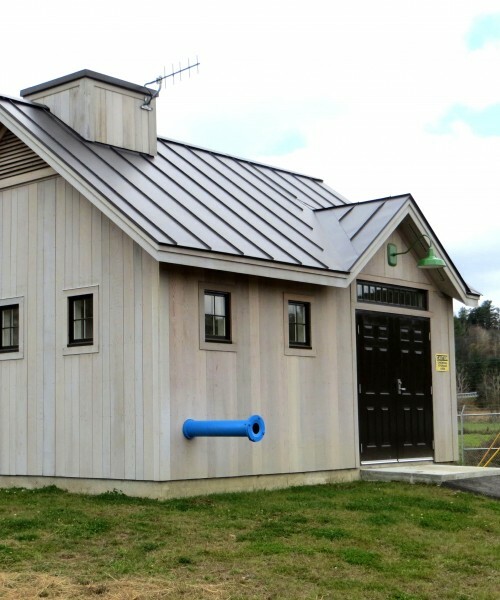 From project scoping, to financing, design and construction, OCE assisted the Town, resulting in an upgraded water system meeting all State and fire insurance guidelines, and substantially reducing the water loss. This is the second recent OCE project where the community hosted a meal and party in appreciation of the efforts to make these important improvements a reality.